My life was in a state of unbelievable chaos. I was experiencing some of the worst pain I could have ever imagined. Divorce, loss of a job, inability to see my kids, drug abuse and so much more. My life was in shambles and everything was coming to a major head. At the time I didn’t understand what was happening. I was one of those “sort of” Christians. You know, I said I loved God, but I didn’t actually live it out. Some of you might be feeling the conviction of that statement right now. But that was the truth. I had one foot in the world (well, maybe a foot and a half) and the other in God (at least in my mind). I wanted God. I wanted Him to rescue me, lift me up, change my circumstances, make all my problems go away, but it was me that wasn’t wiling to commit my life to him one-hundred percent; not even fifty-percent if I were to be honest. What I love about this picture is the compassion that Jesus has for you and me. “What compassion” you might be asking? Listen up. When you see the temple talked about in the Bible, it is always a picture of our own personal lives. When Jesus went into the temple and took care of business on behalf of the Father, you just need to put two and two together; it’s a picture of Him cleaning up the junk in our own lives. There is no more veil between God and man. The curtain that separated us has been abolished. The law has been completely fulfilled through Jesus. The temple where God resides is now in our very hearts. 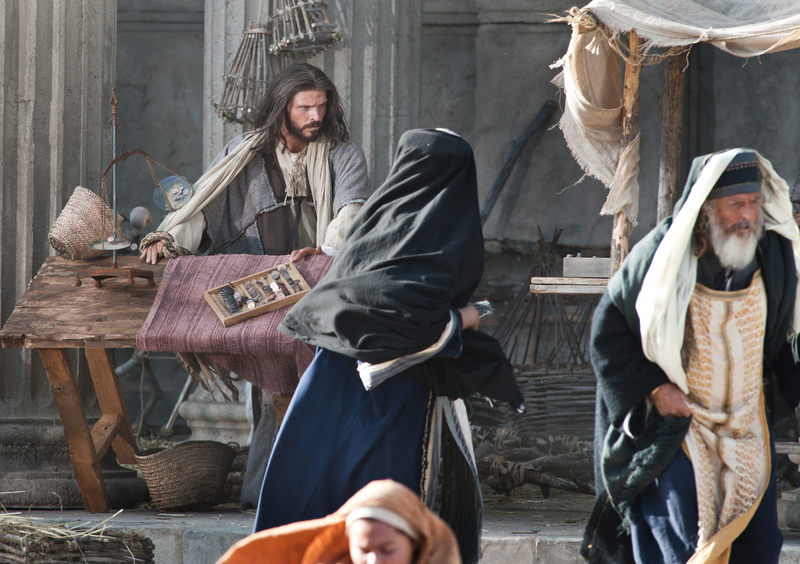 Is your temple a place of worship or a place that Jesus needs to do some cleaning? In some respects, we all need an occasional garage sale in our temple. But, is your temple where mine was many years ago; a complete mess that is in need of a serious scourging? Your Dad in heaven loves you so much, His zeal for you is so consuming, that he will not allow you (or any of us) to continue living in a way that will destroy us. That is what a loving Dad does. That is our Dad in heaven. Prayer for the day… Dad, would you reveal to me the temple of my heart? Would you show me what trash needs to be taken out to the curb? Would you give me the strength and courage to make the choice to invite you in to clean out my temple? I love you Lord and I need you. I also thank you for loving me enough to take me through whatever is necessary to change the course of my life. This may be a painful process. It was for me. But its all about God’s love for you. He loves you enough to clean house when it is necessary.